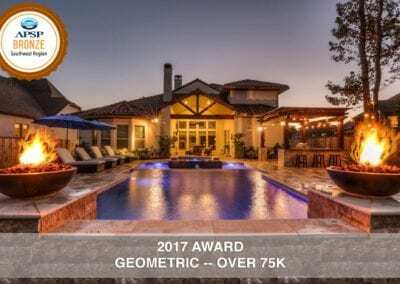 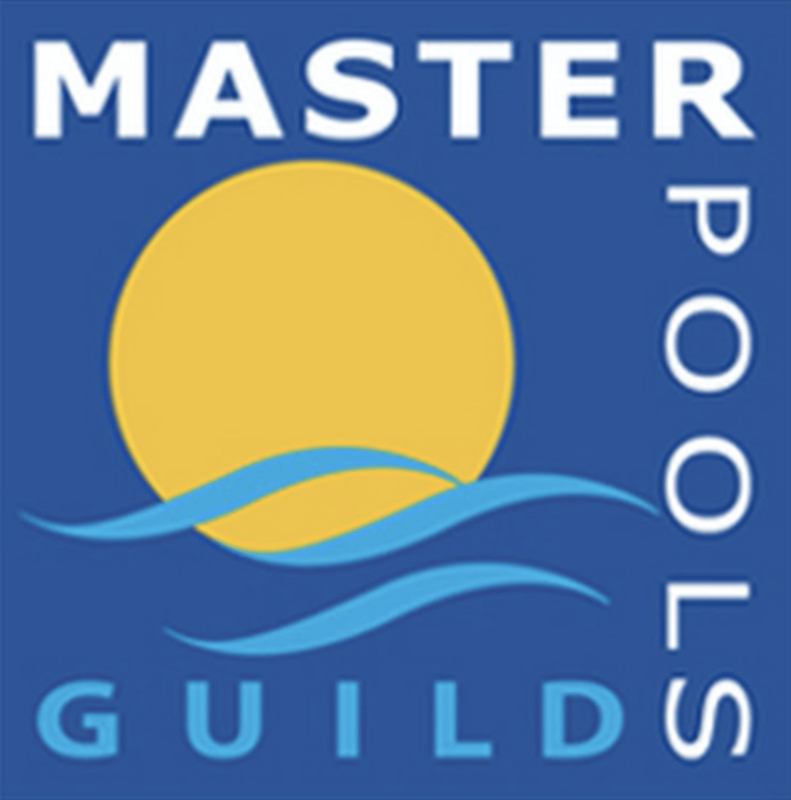  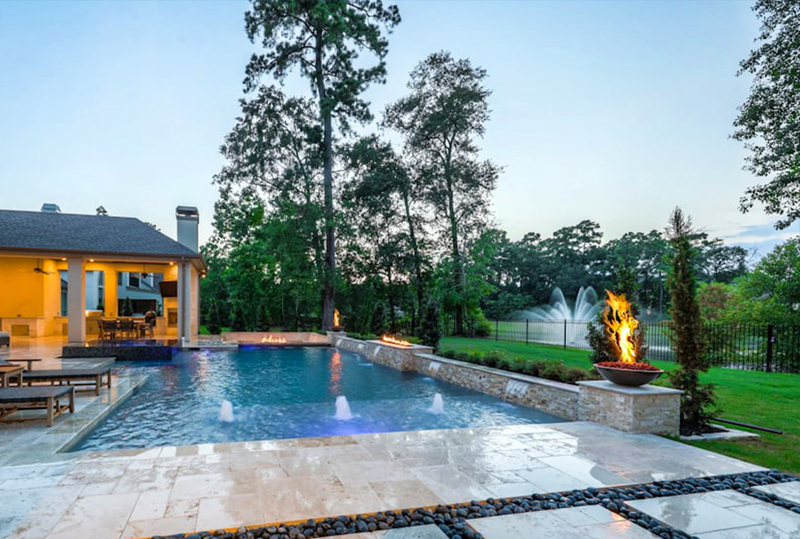 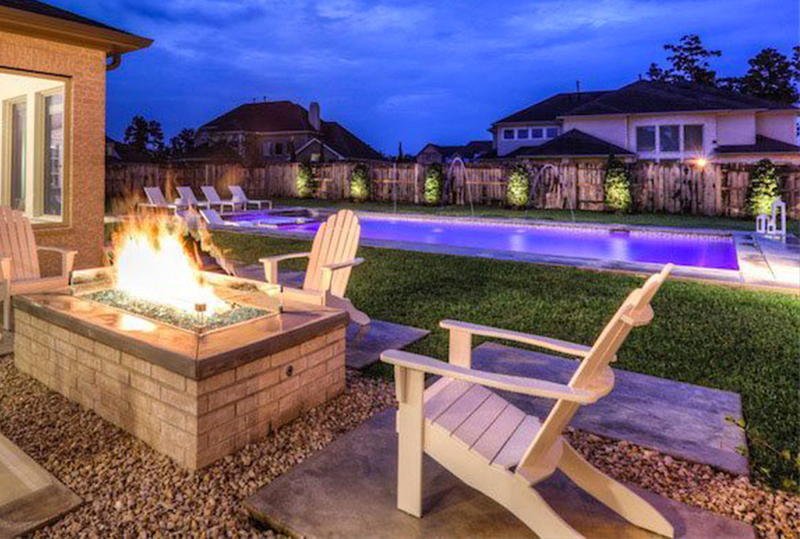 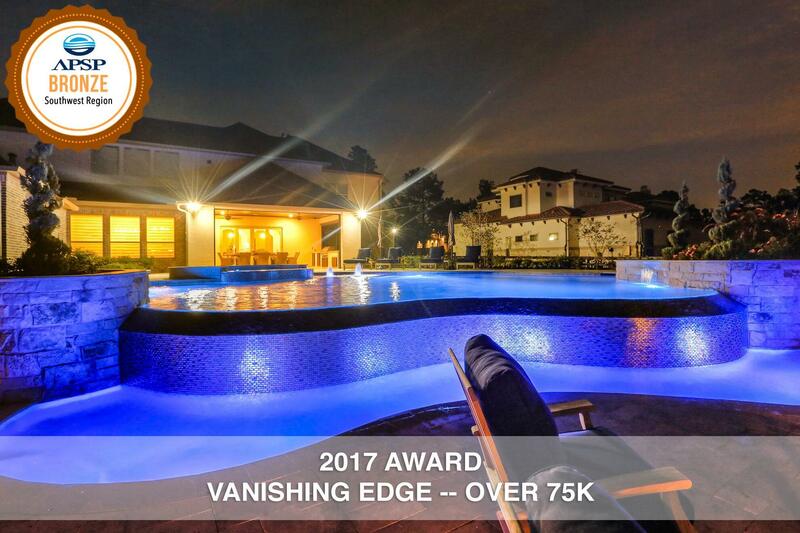 The Master Pools Guild is a network of over 100 elite custom residential and commercial pool builders from across the globe. 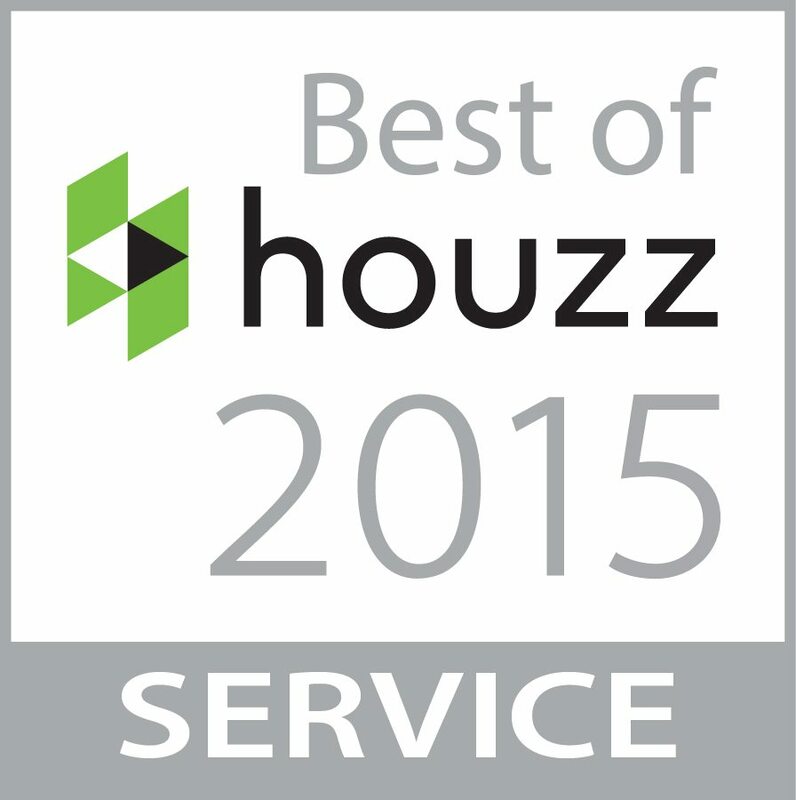 We proudly earned the “Best of Houzz 2015” for Customer Service by Houzz.com, an international home renovation and design community. 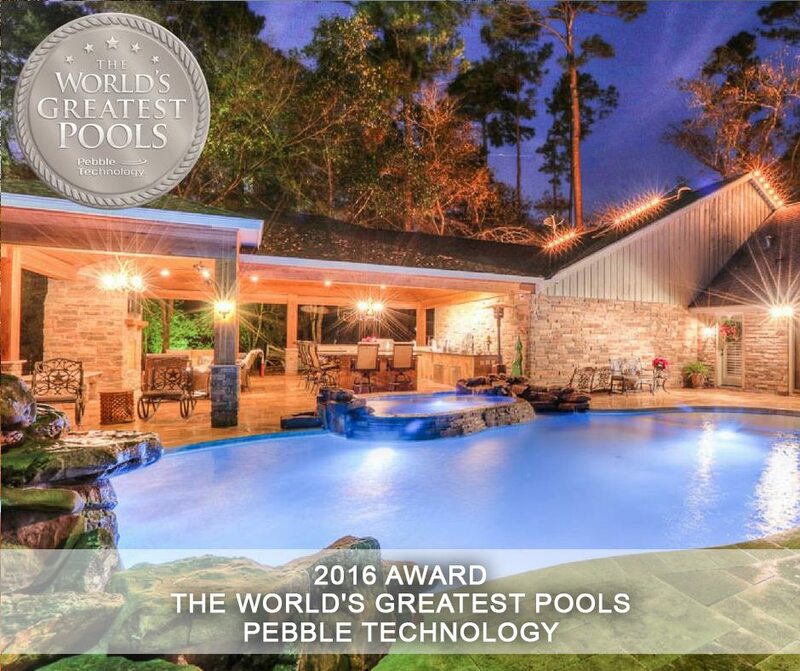 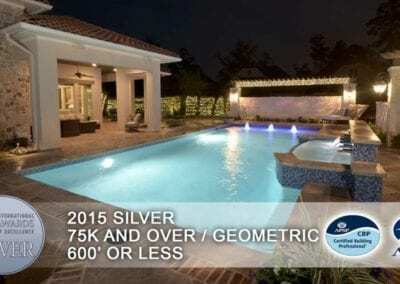 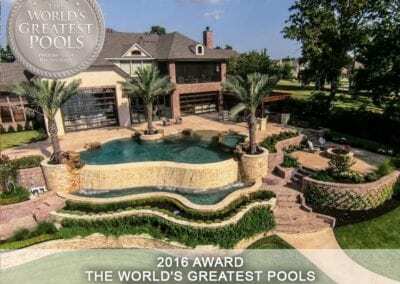 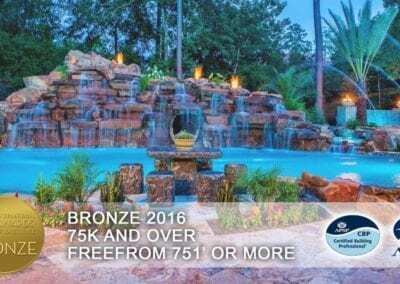 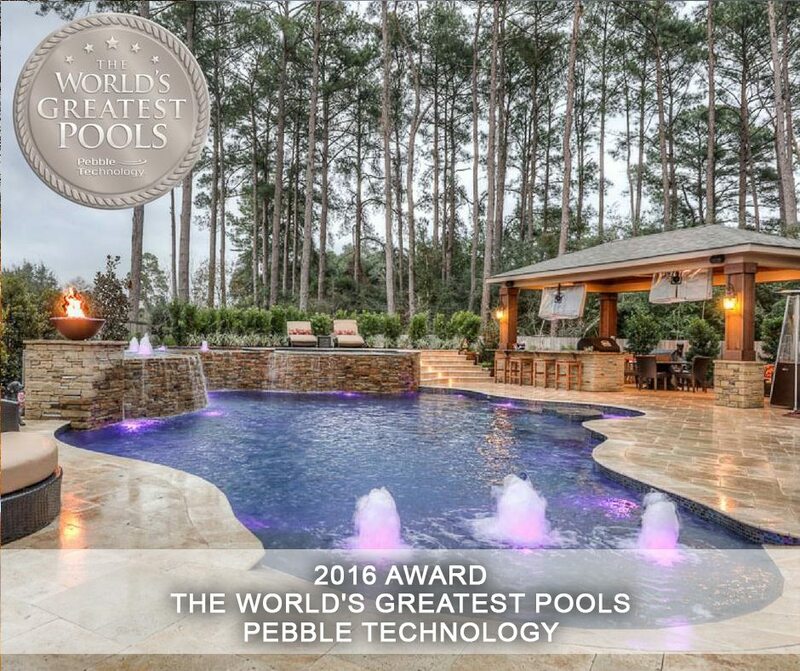 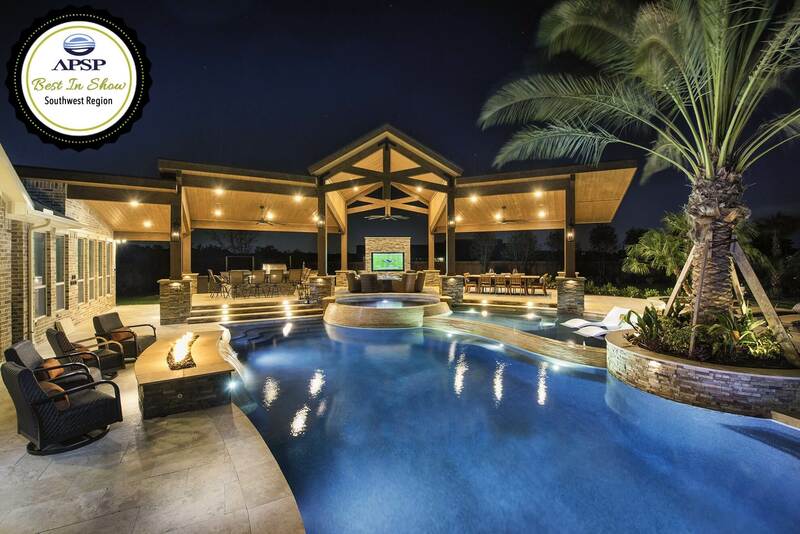 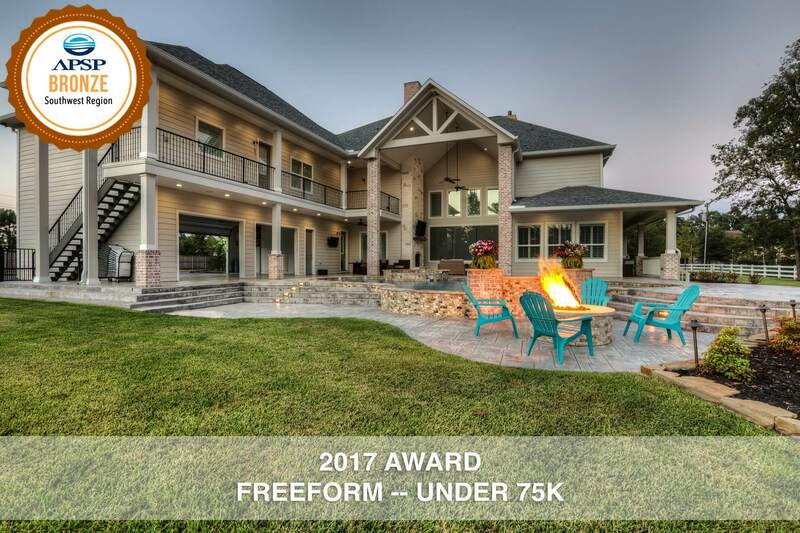 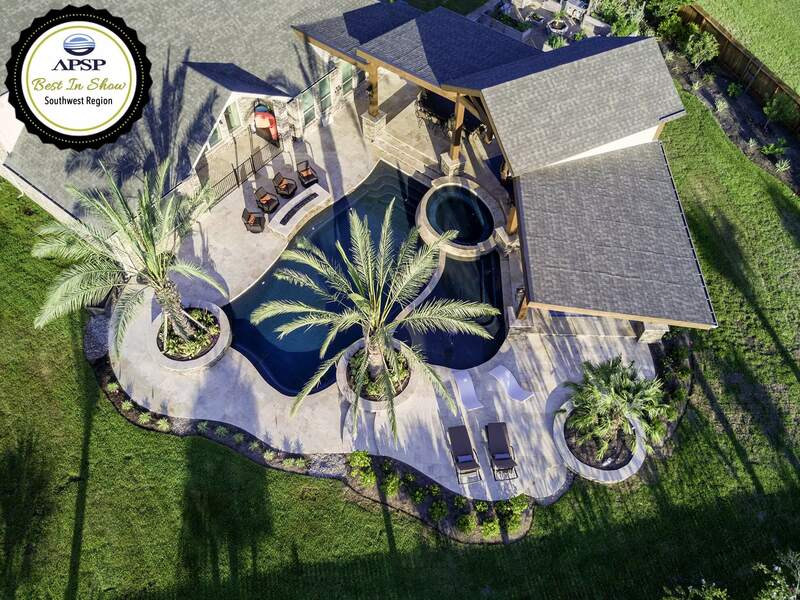 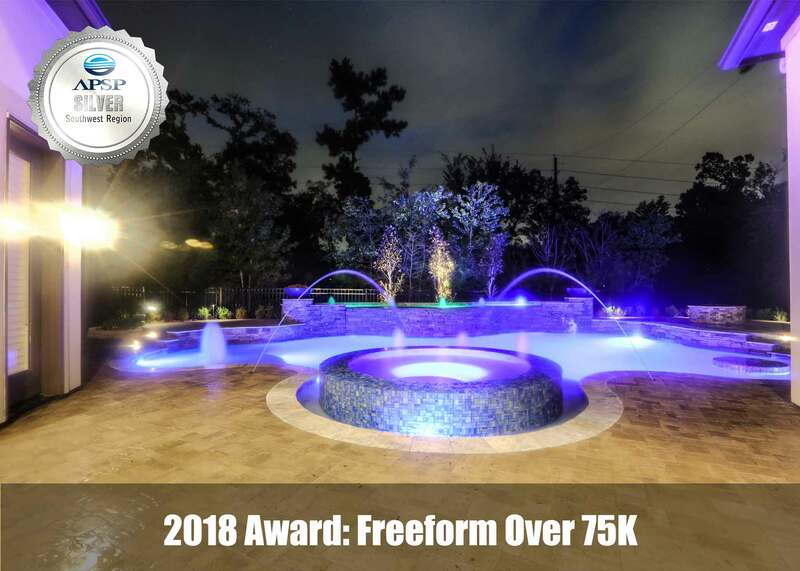 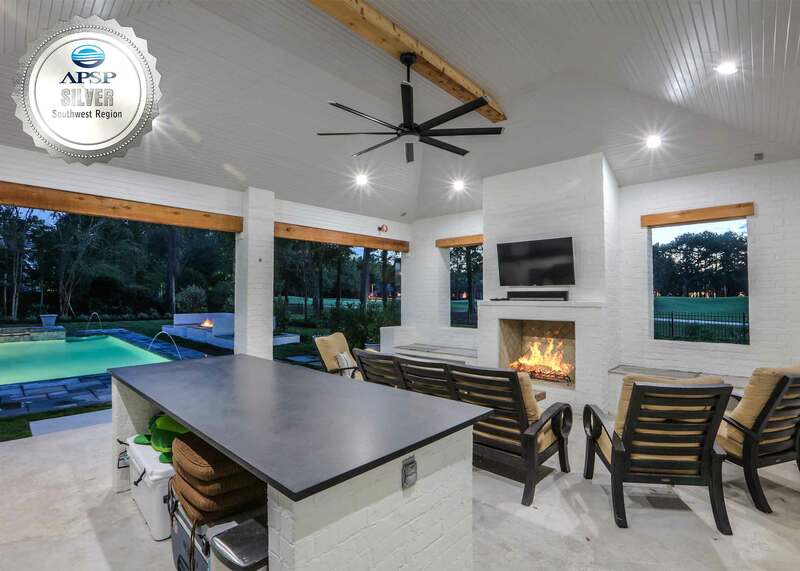 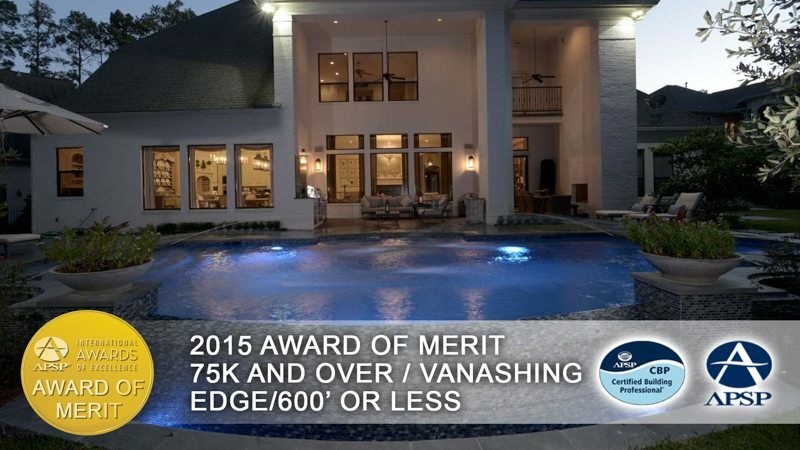 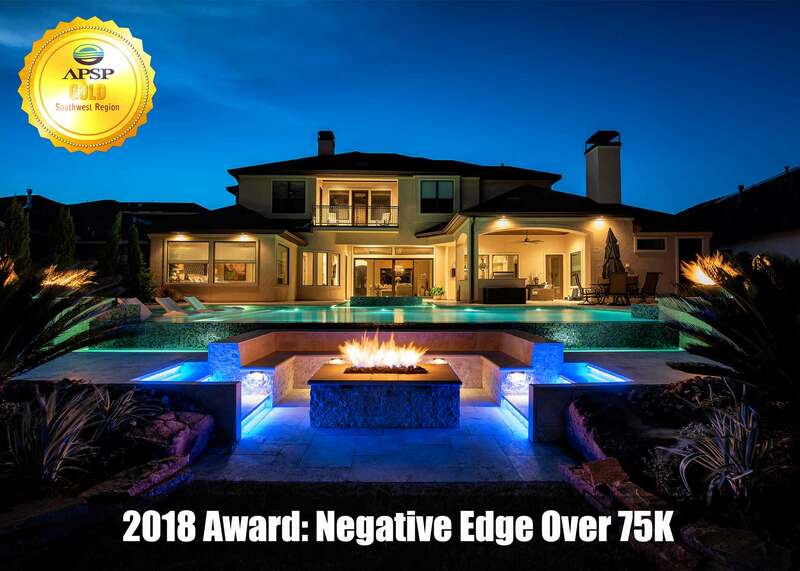 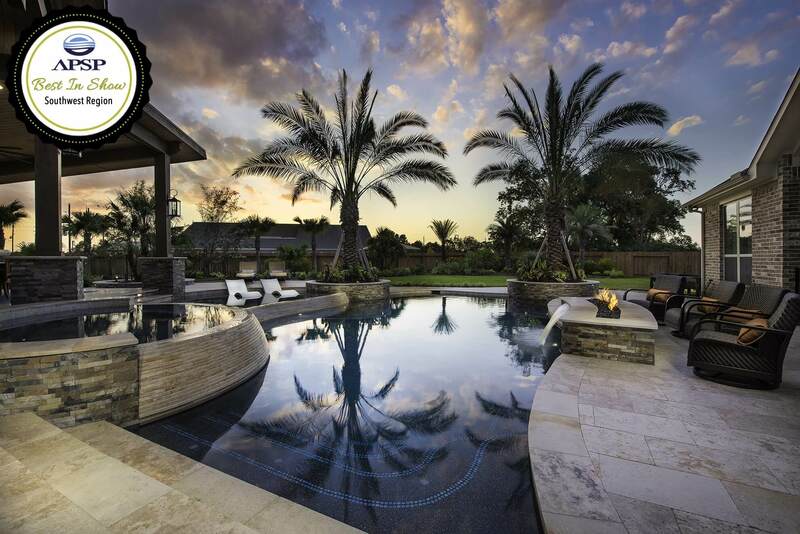 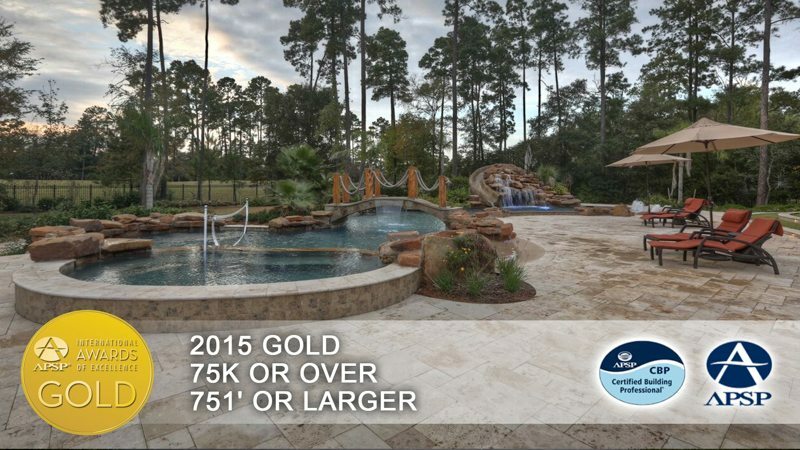 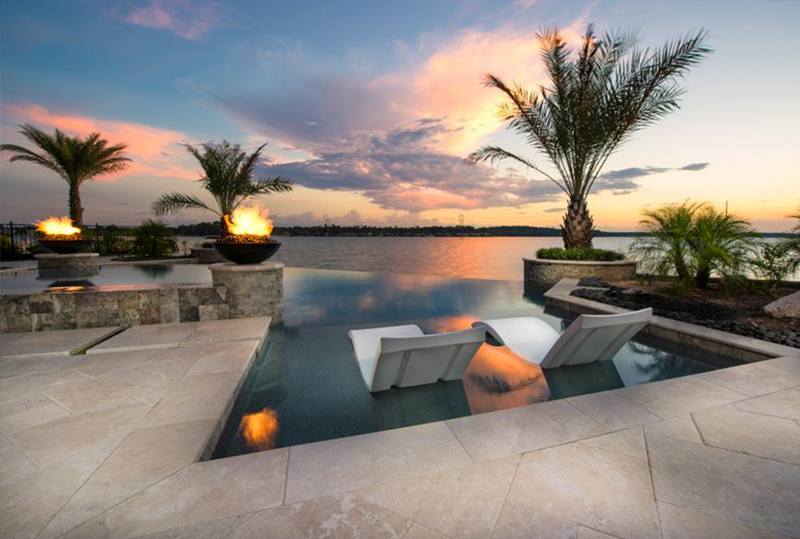 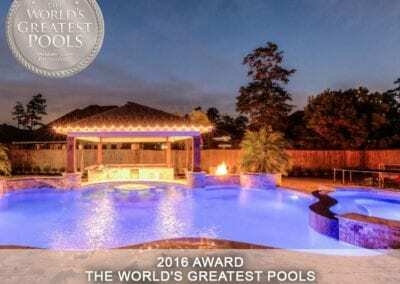 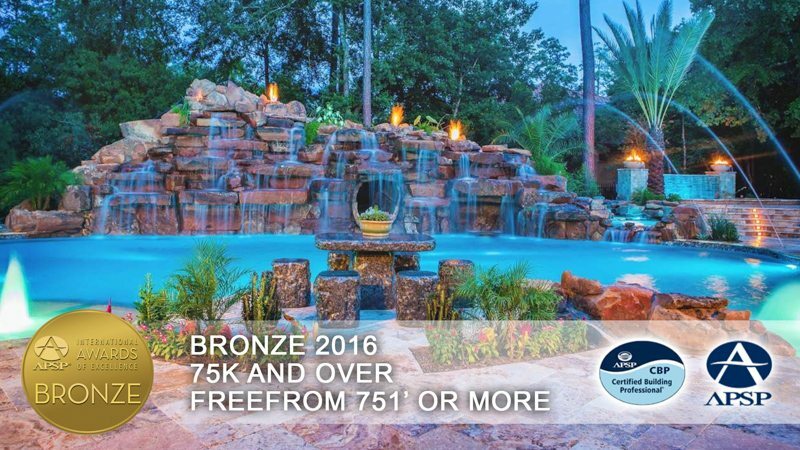 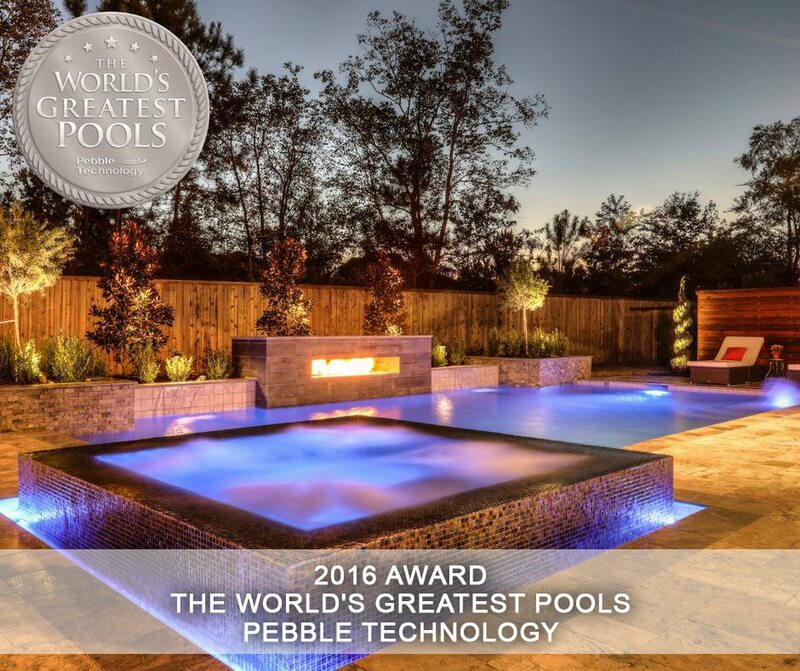 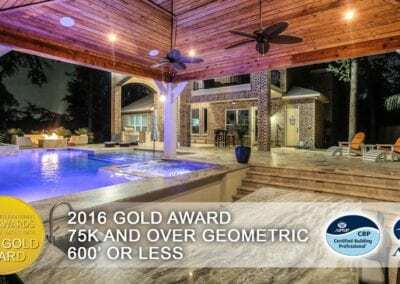 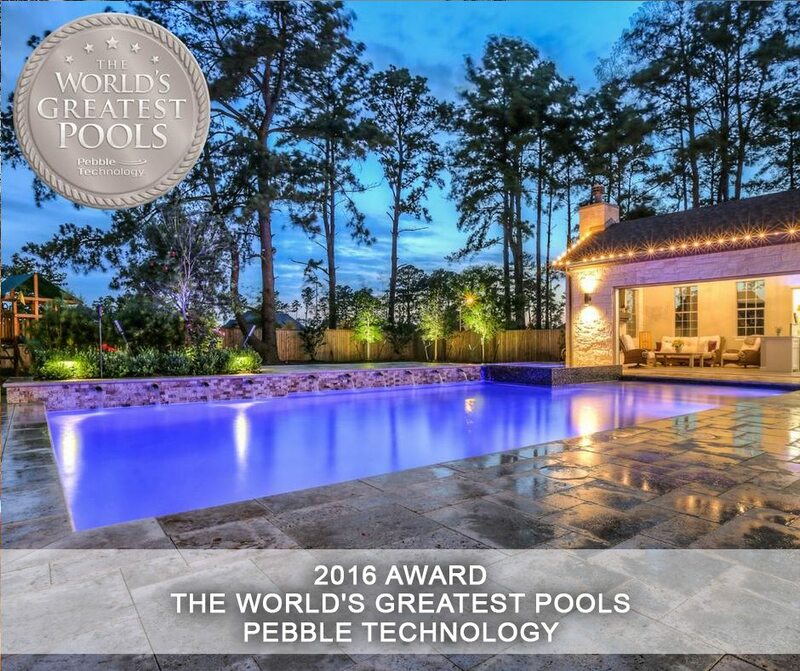 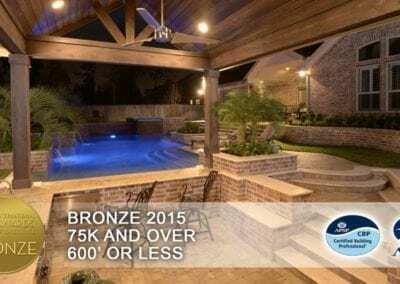 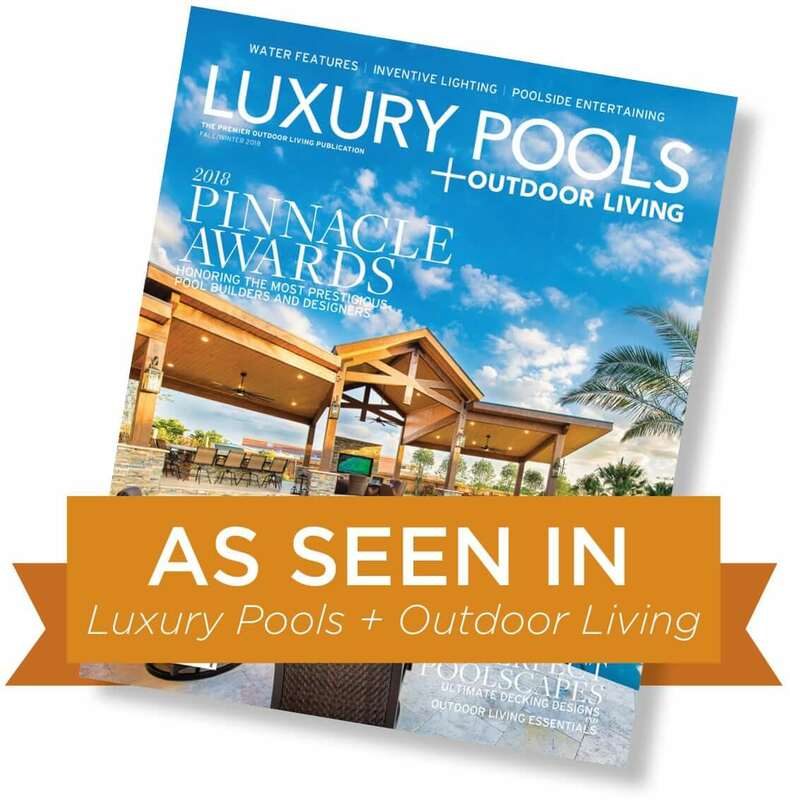 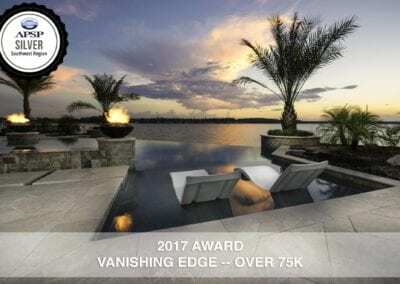 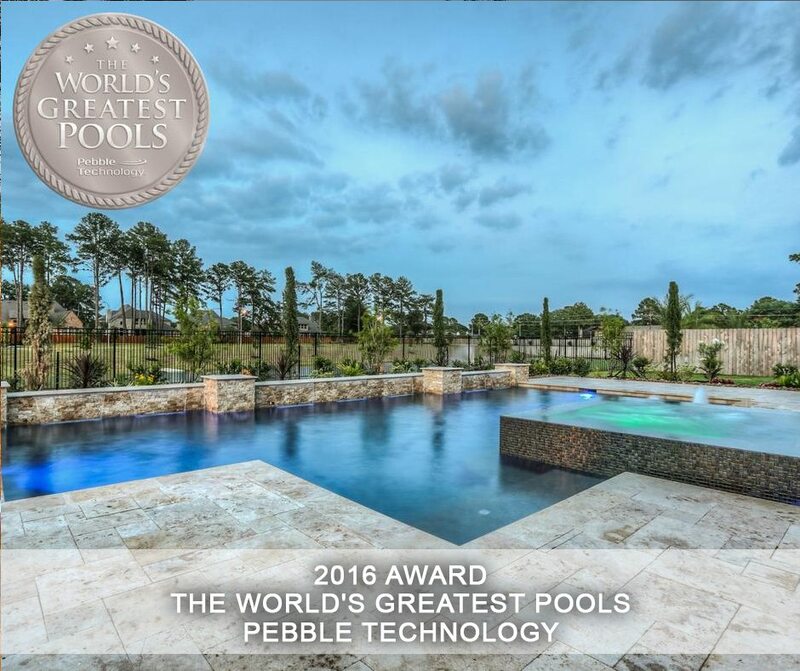 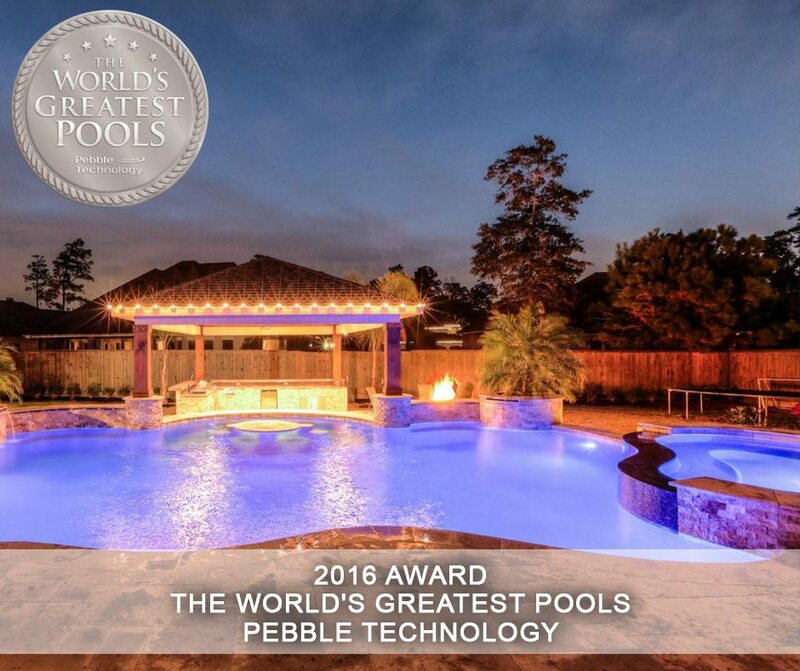 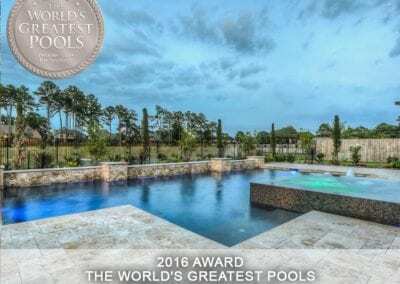 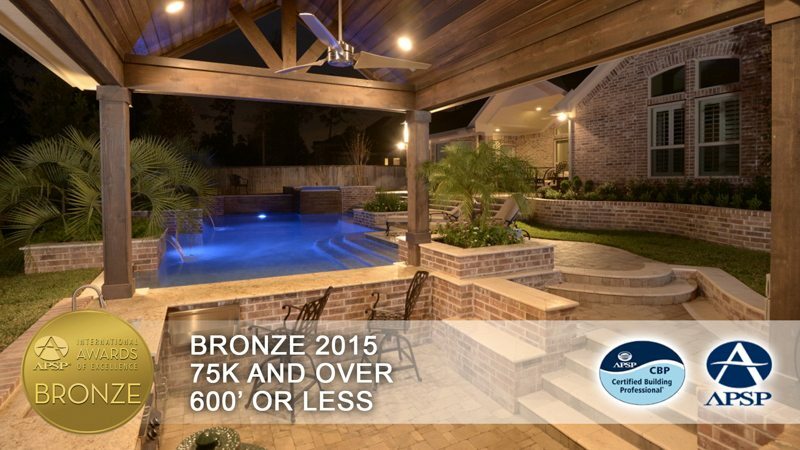 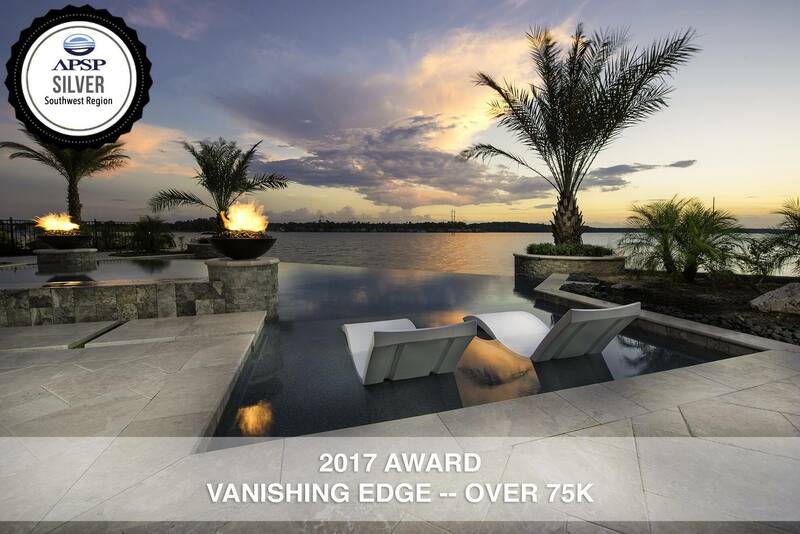 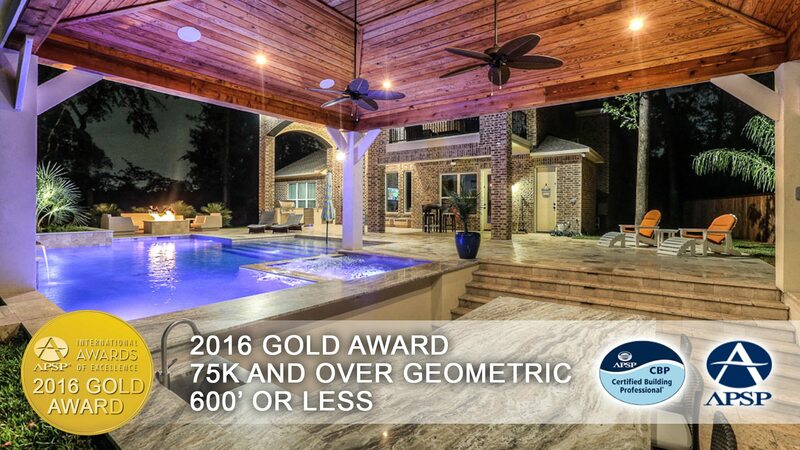 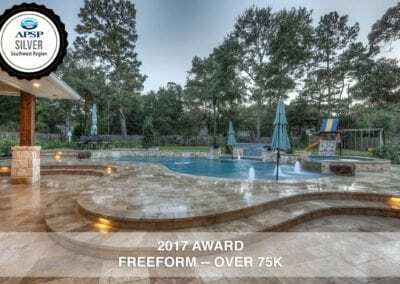 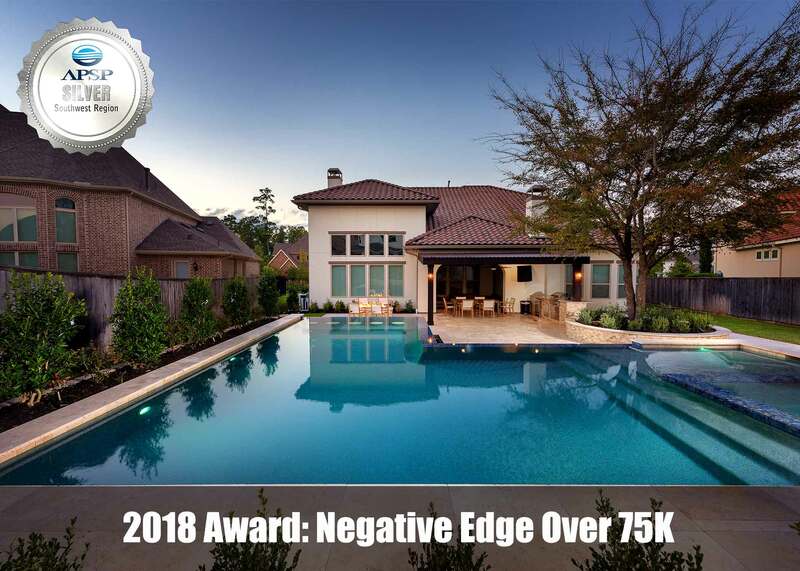 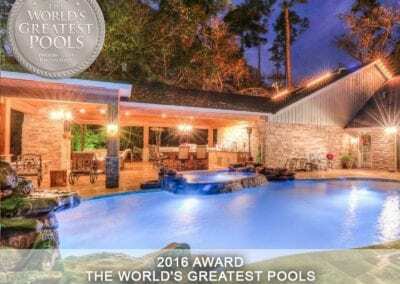 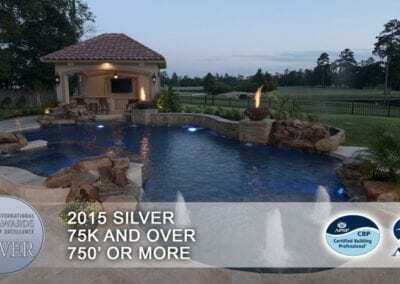 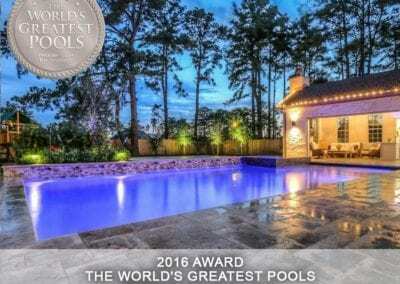 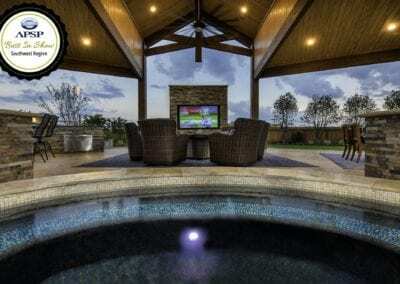 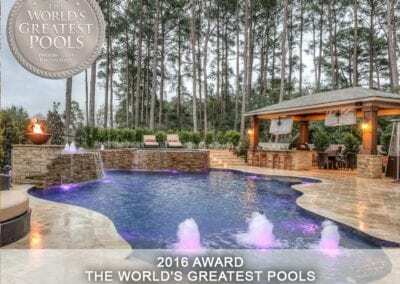 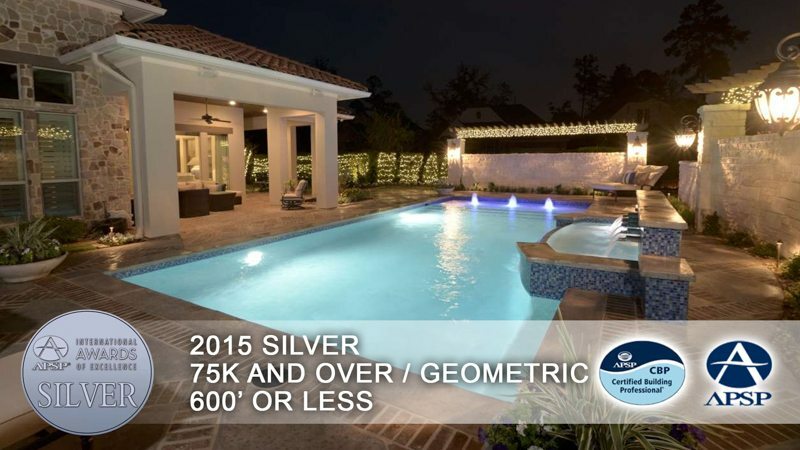 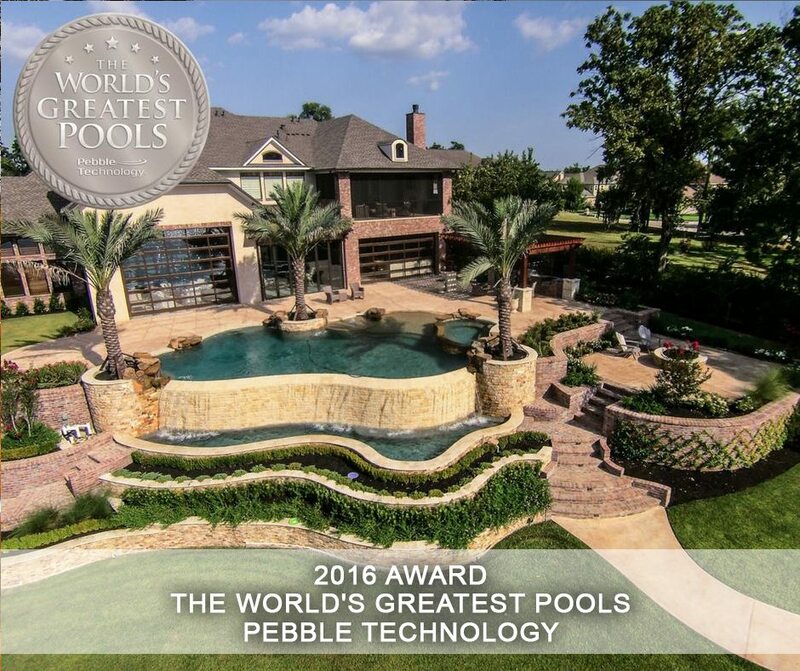 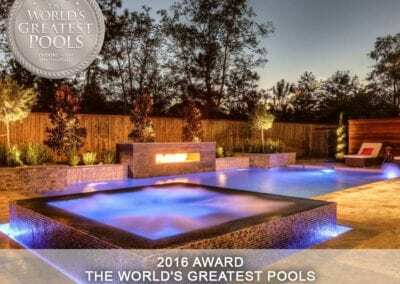 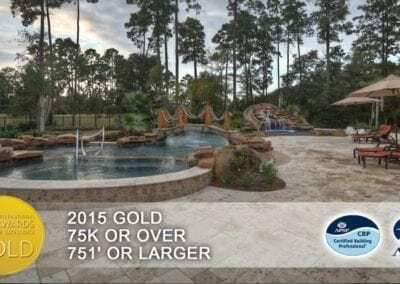 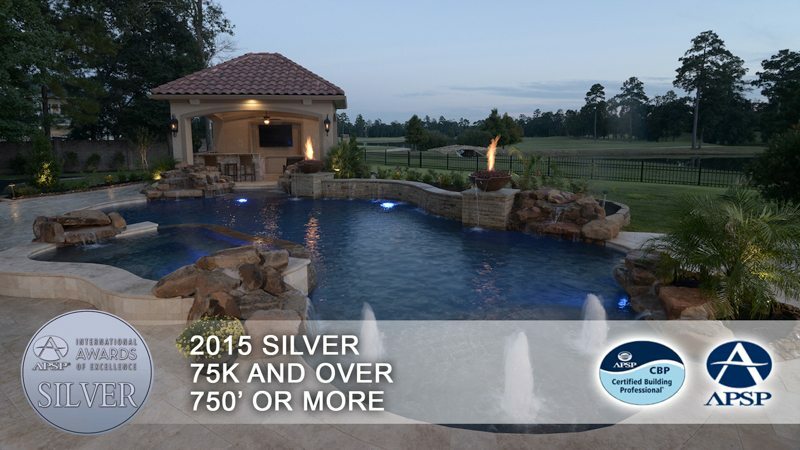 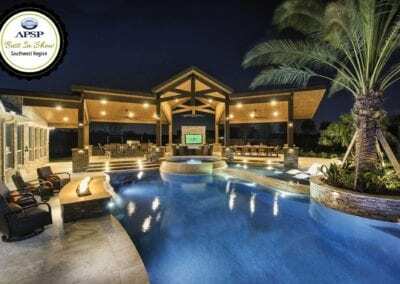 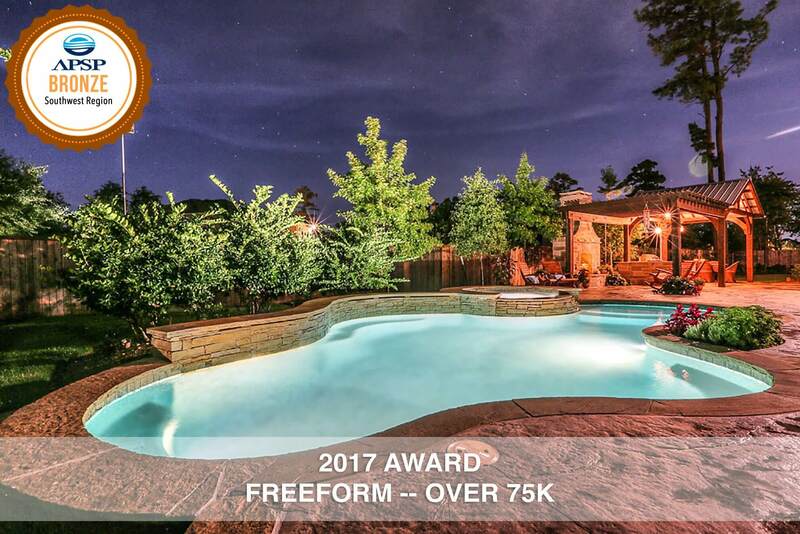 Sponsored by Pebble Technology International – When it comes to designing visually stunning pools and environments that help change the way homeowners experience and enjoy their outdoor space – there is only one thing that sets the gold standard, the World’s Greatest Pools. 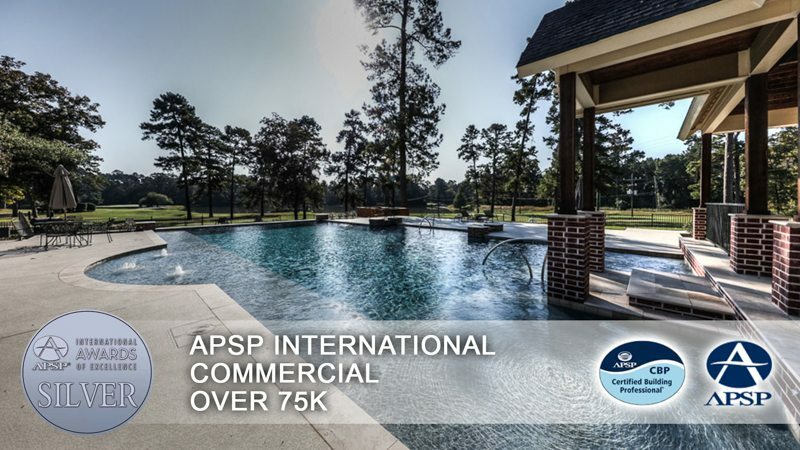 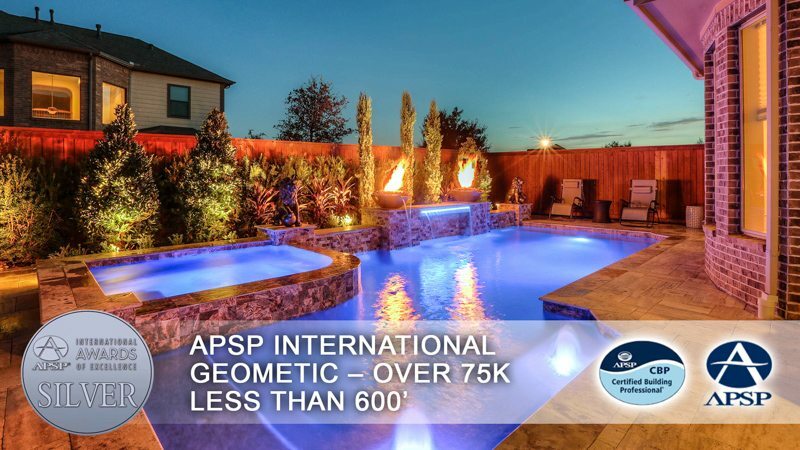 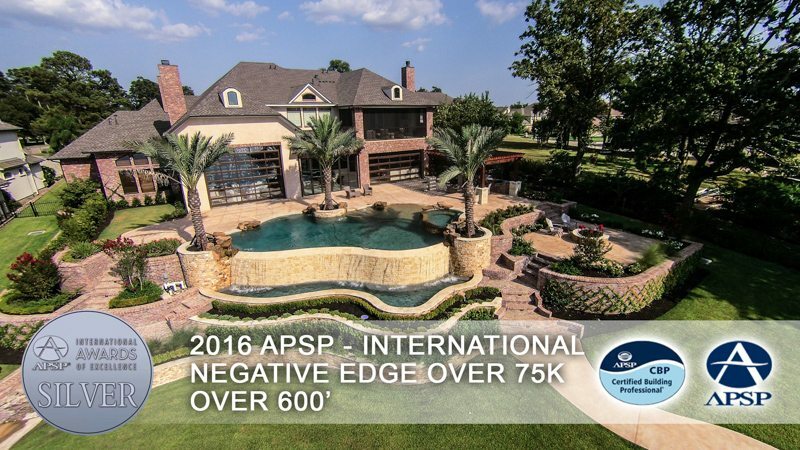 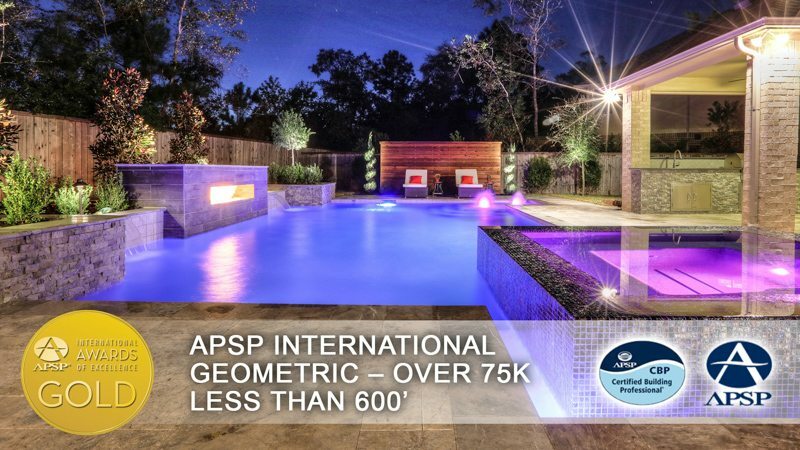 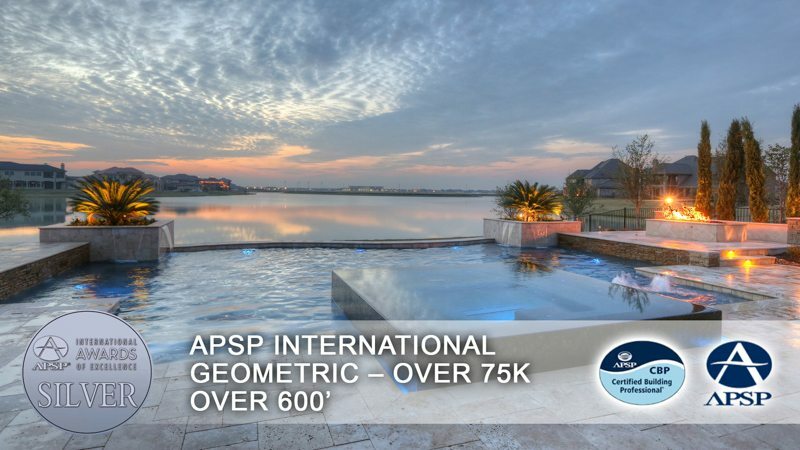 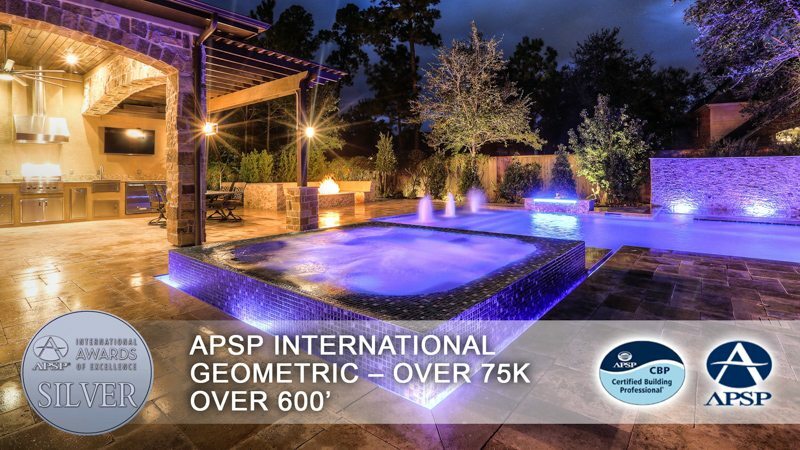 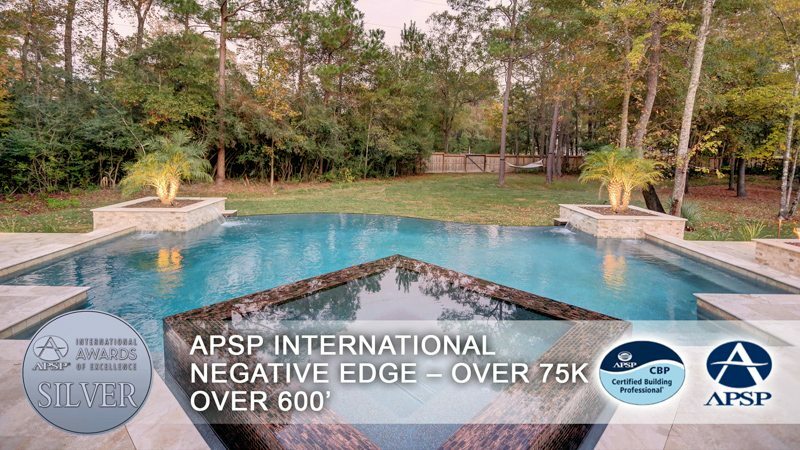 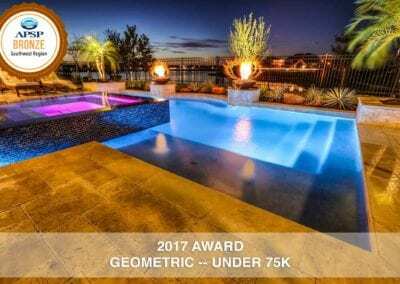 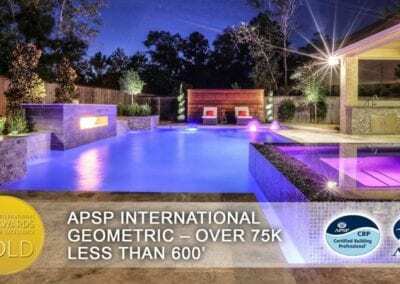 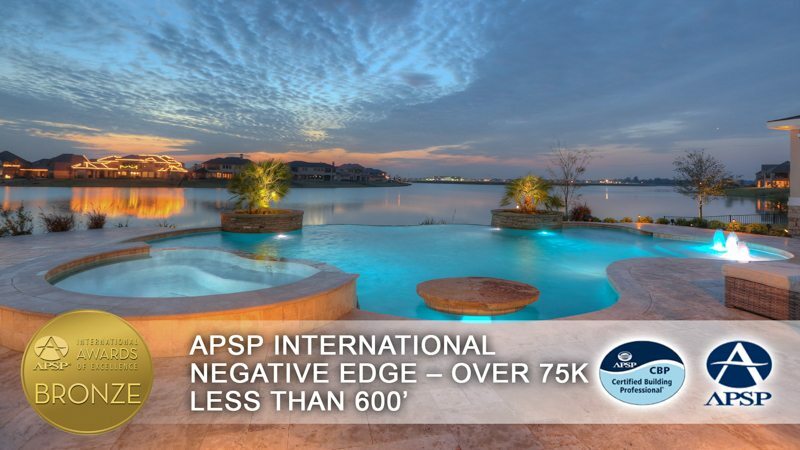 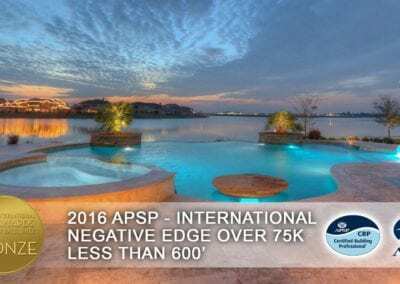 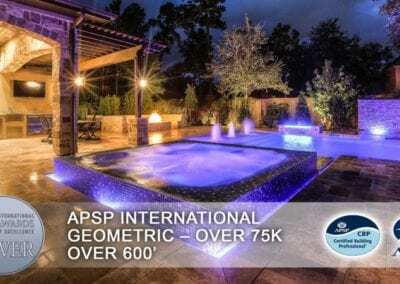 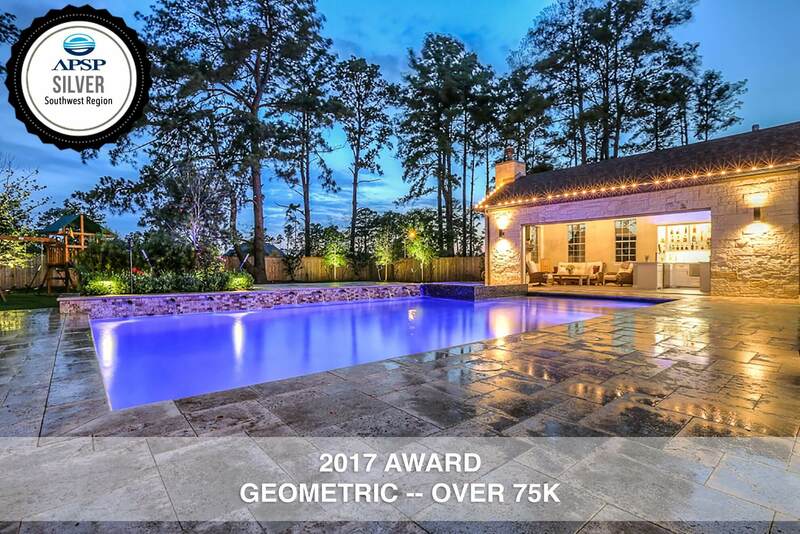 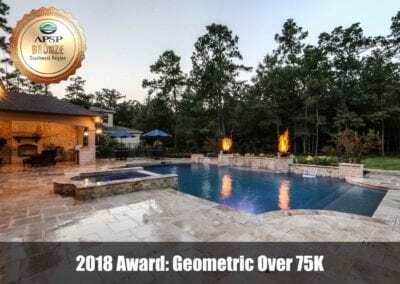 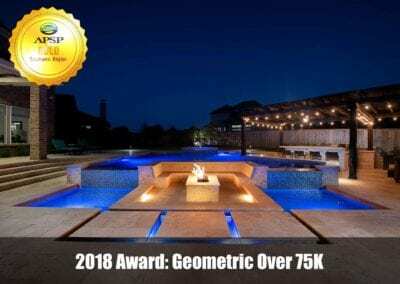 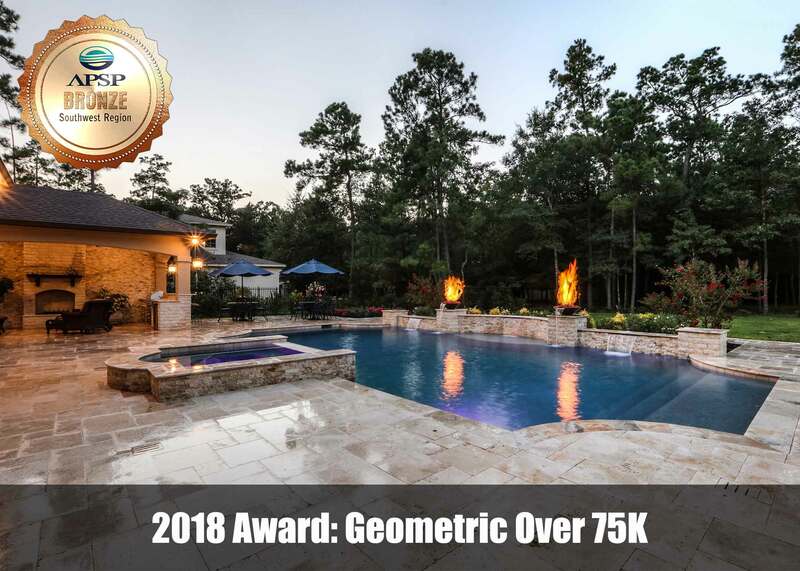 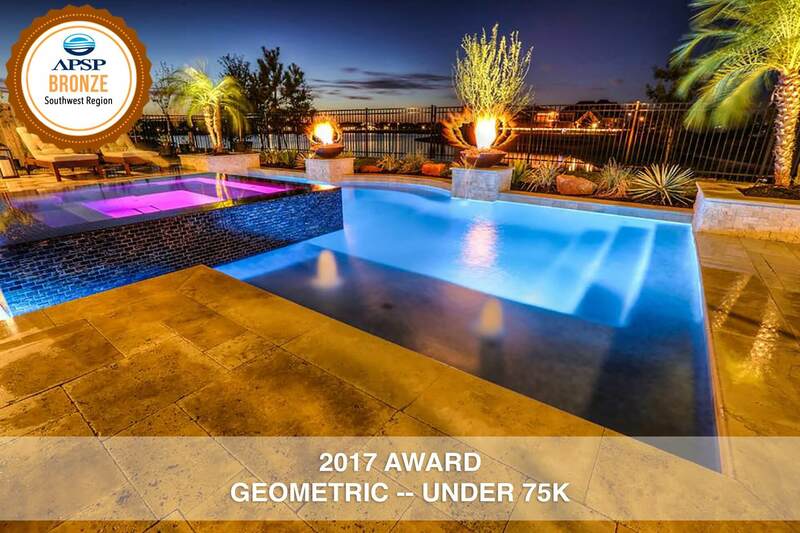 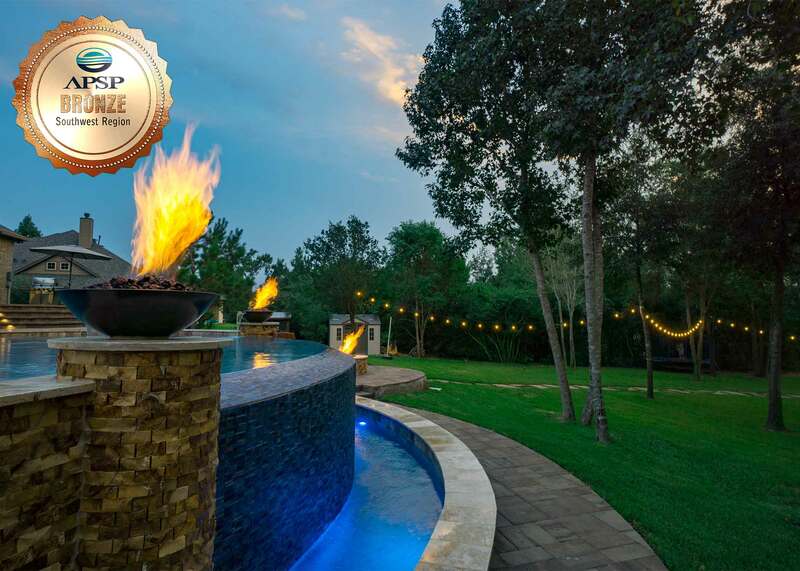 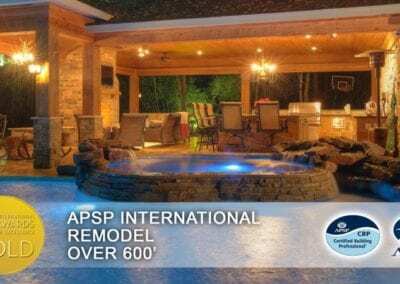 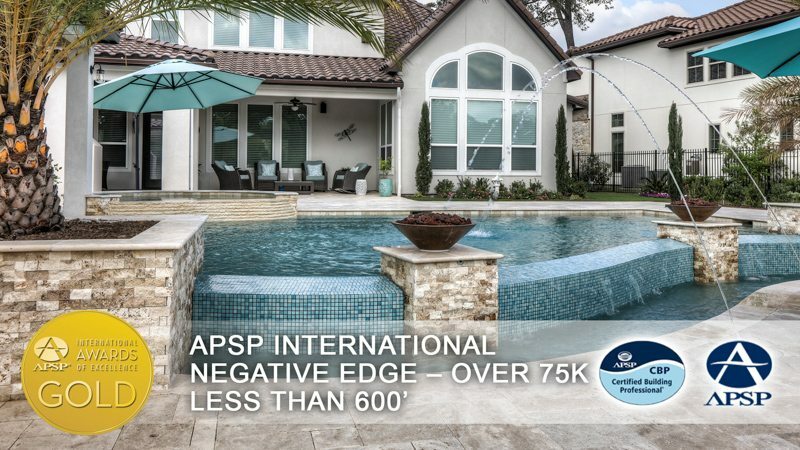 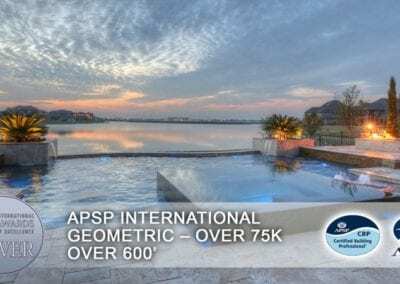 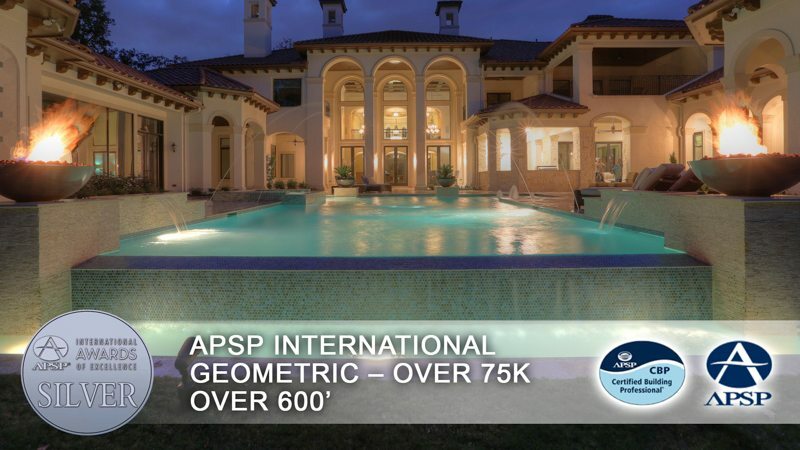 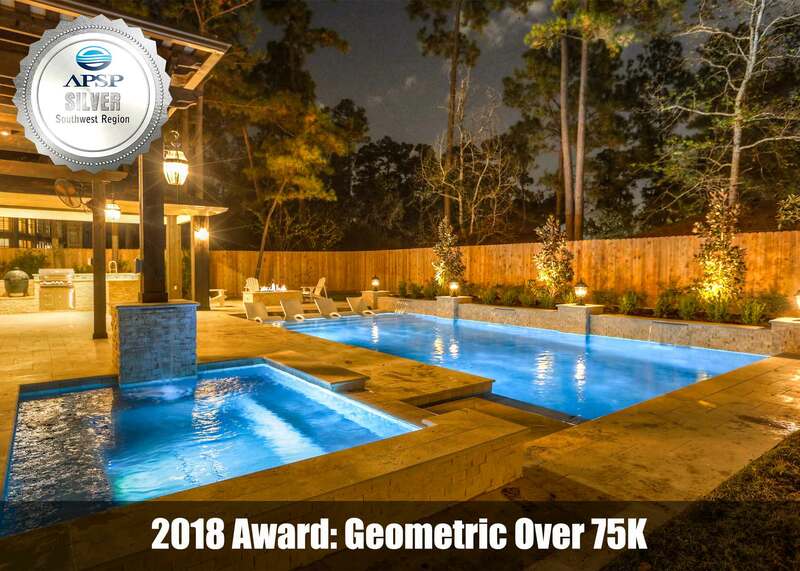 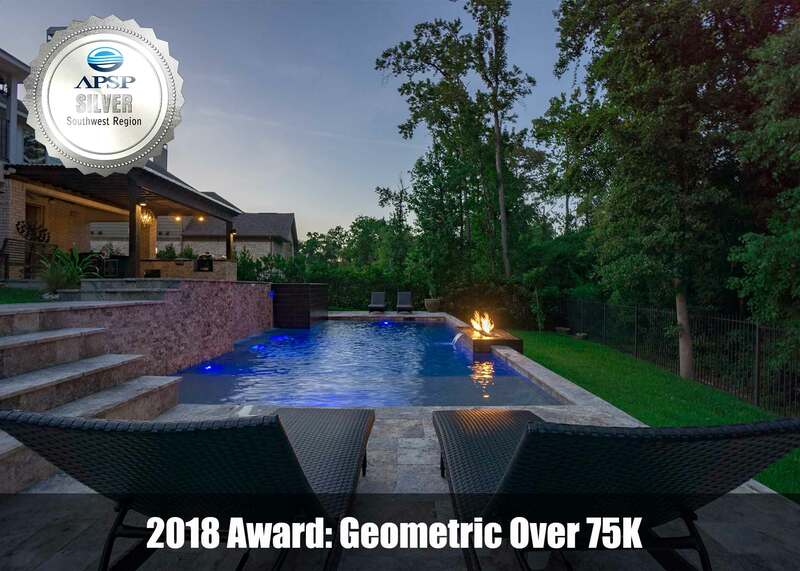 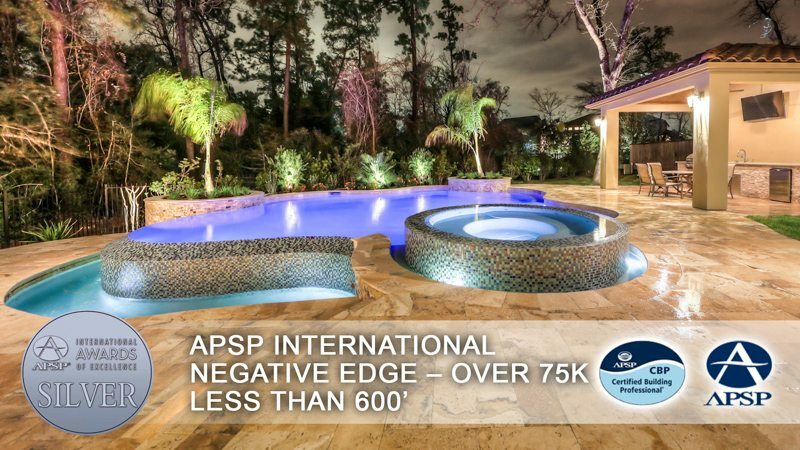 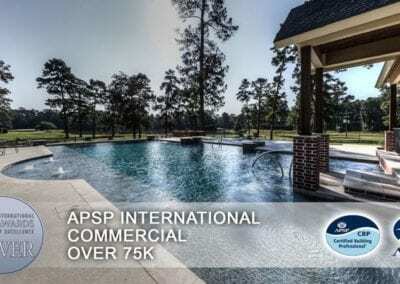 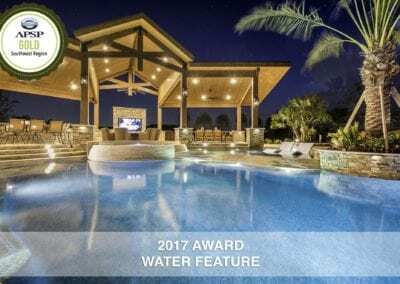 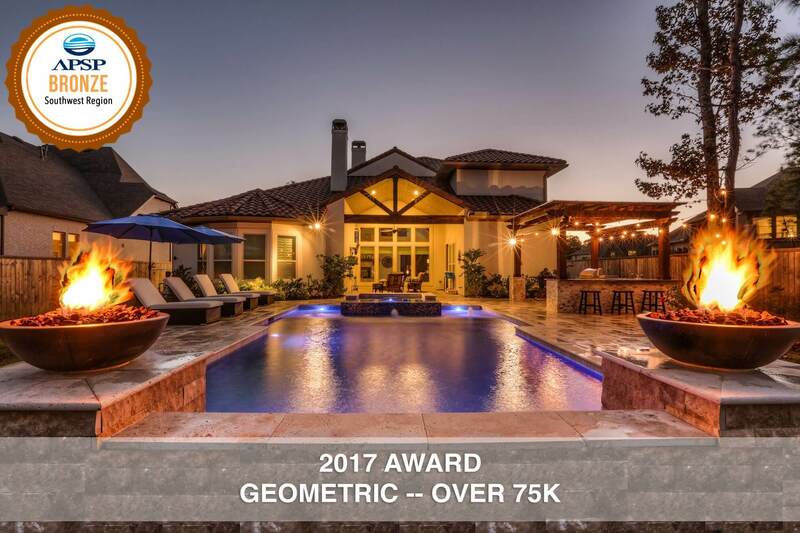 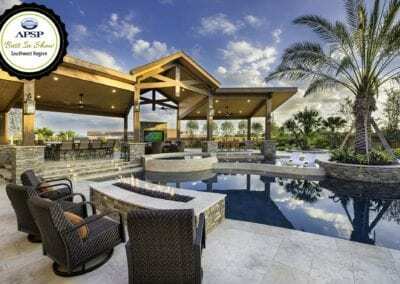 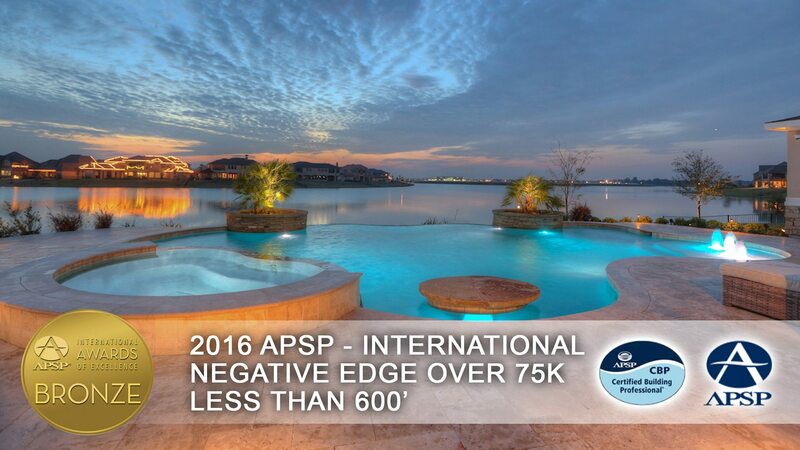 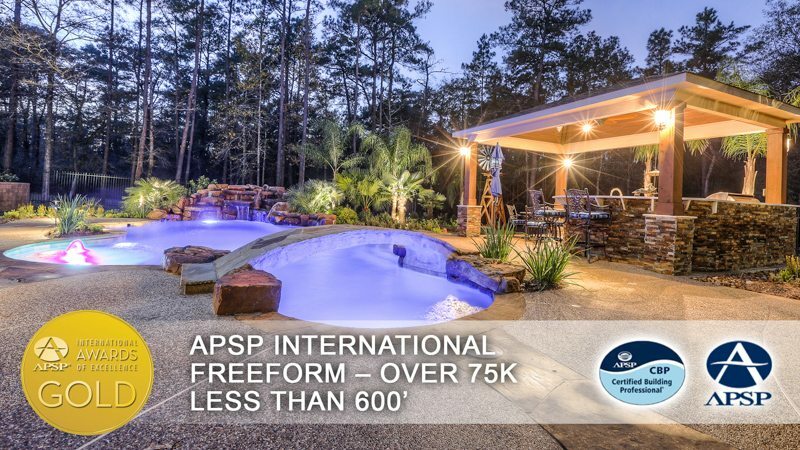 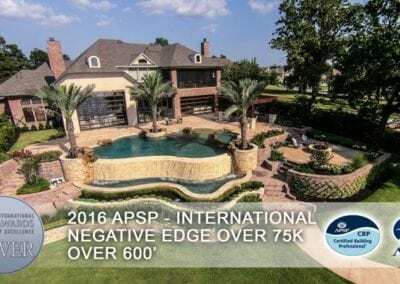 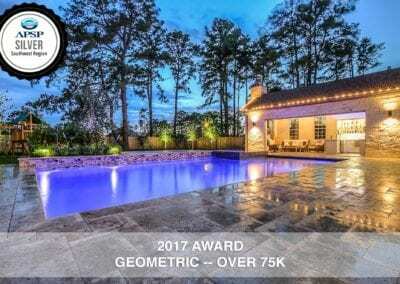 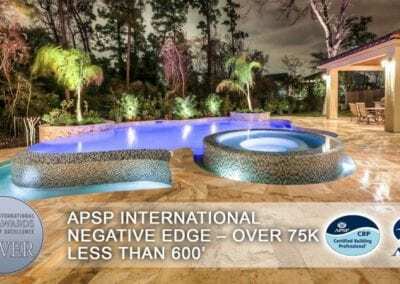 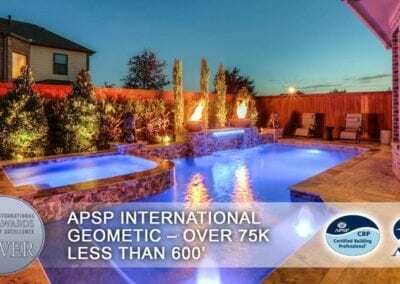 The APSP International Awards of Excellence program recognizes and rewards installations of pools, spas, hot tubs, and water features that showcase the most beautiful and creative work in the industry. 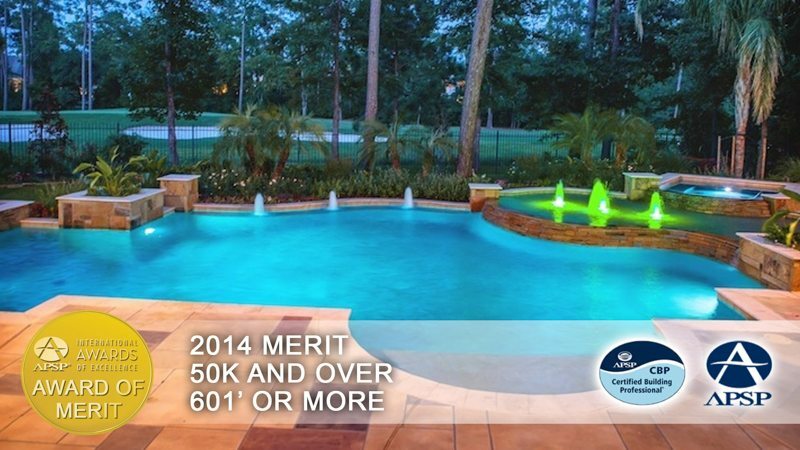 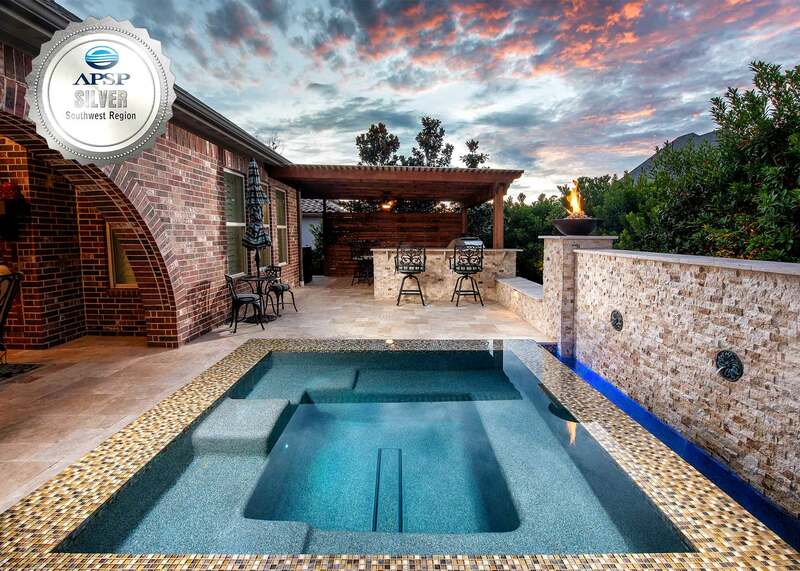 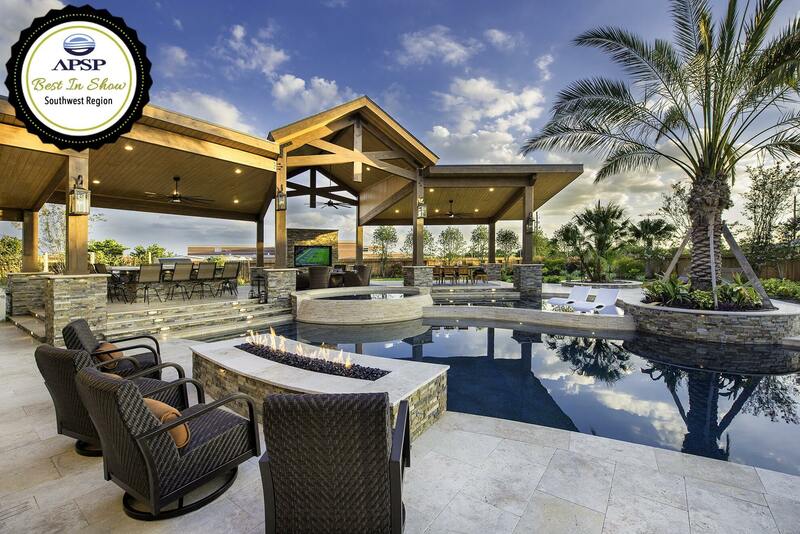 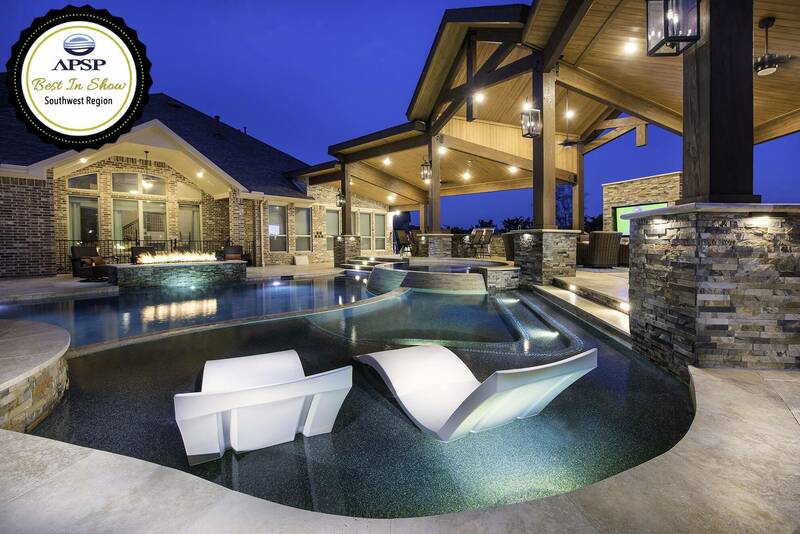 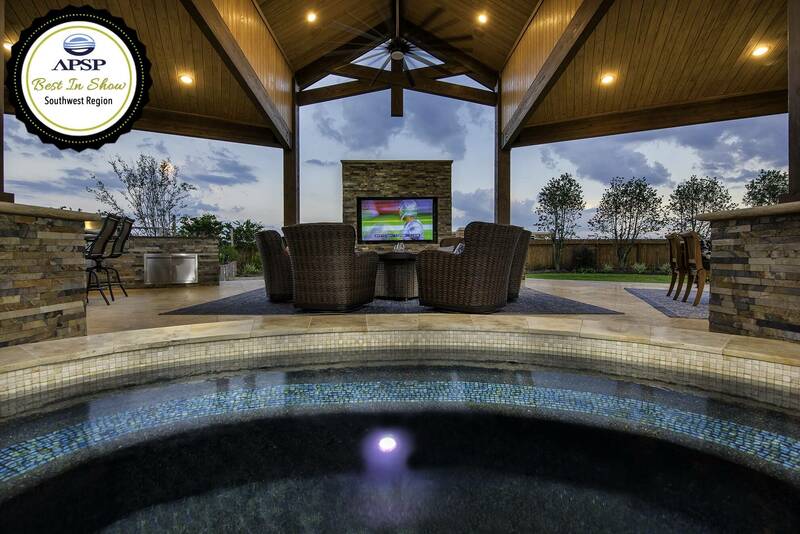 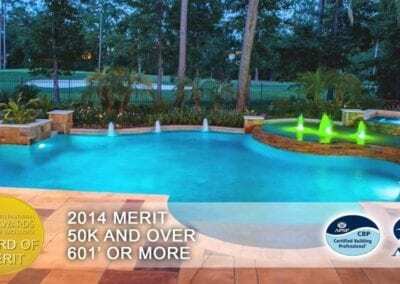 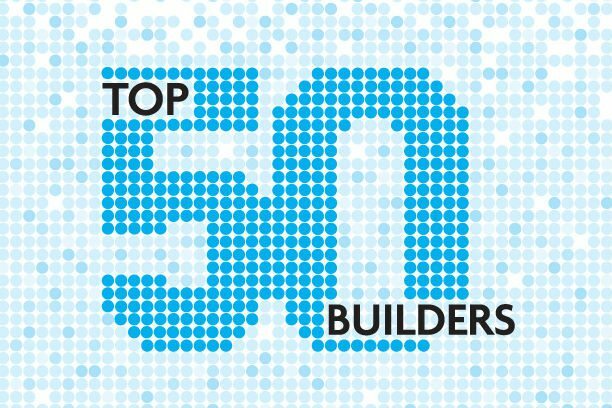 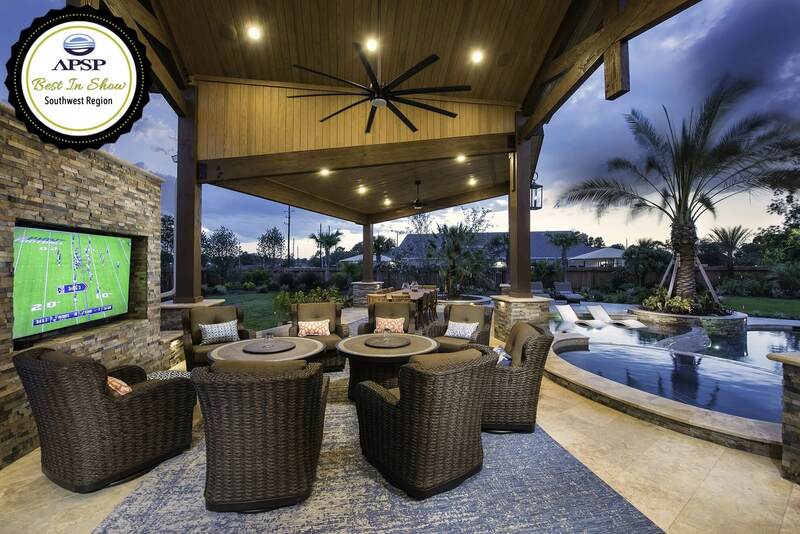 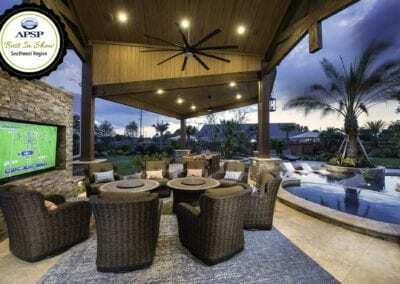 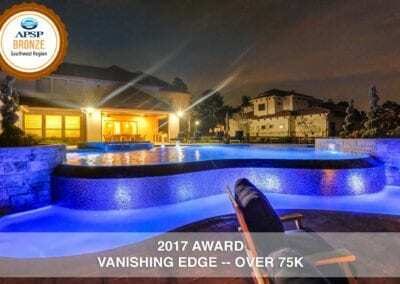 Awarded by Pool & Spa News – The Top 50 Pool Builders represent the type of contractors that move the industry forward. 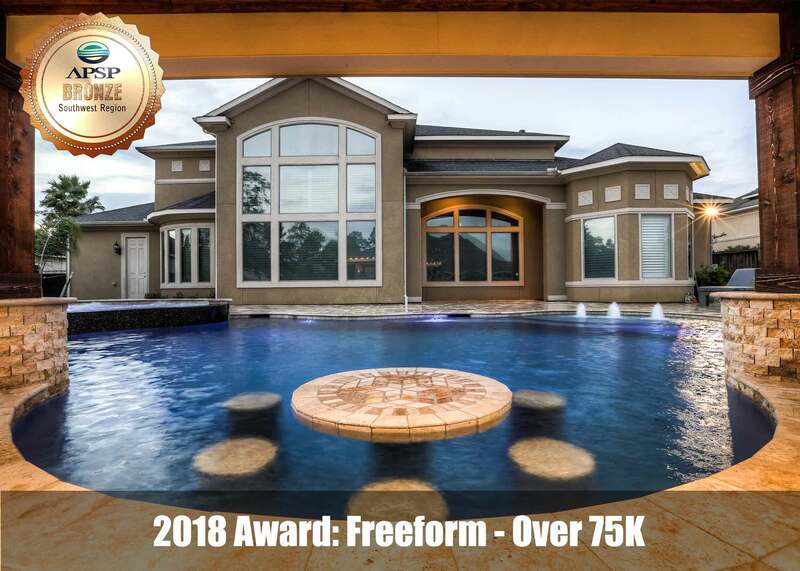 They generate healthy residential construction revenues, place high value on employee training and retention, and insist on tapping into the construction and business communities by joining organizations inside and outside the industry. 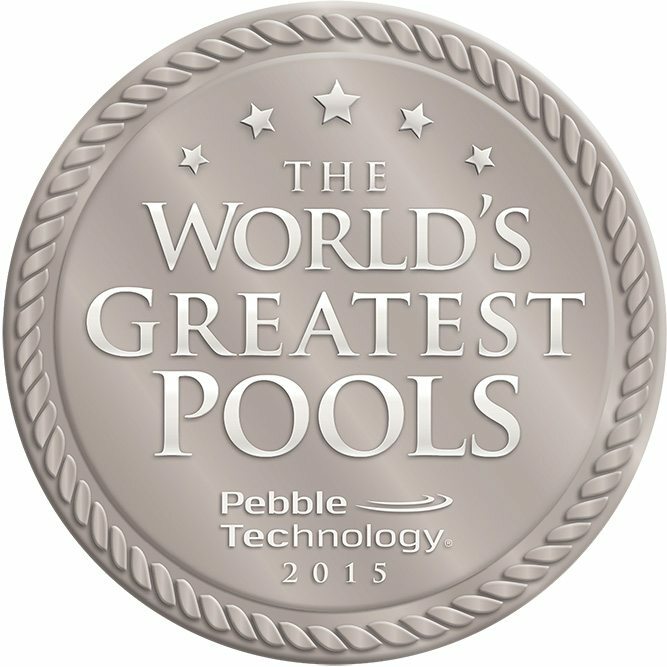 Gold, Silver, Bronze & Award of Merit. 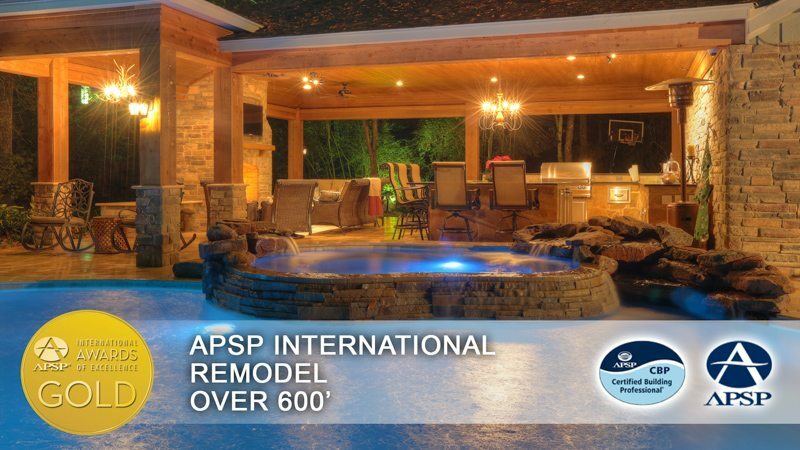 Our work has been recognized by The Association of Pool & Spa Professionals. 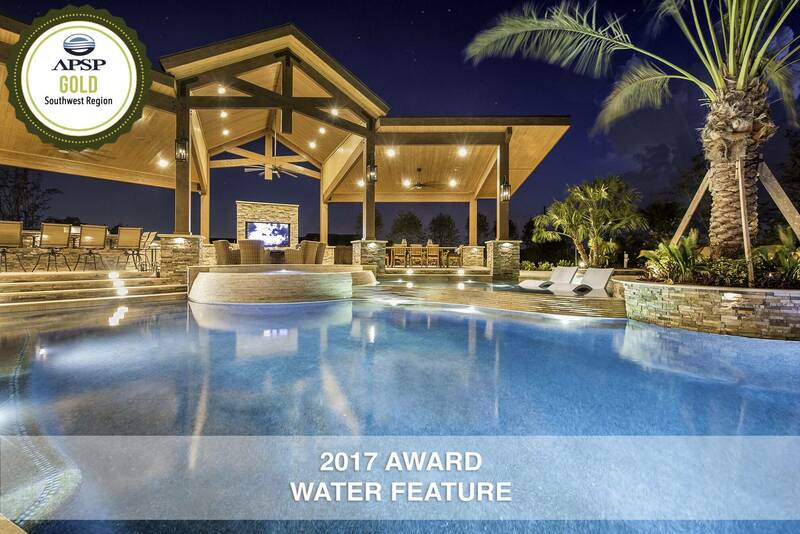 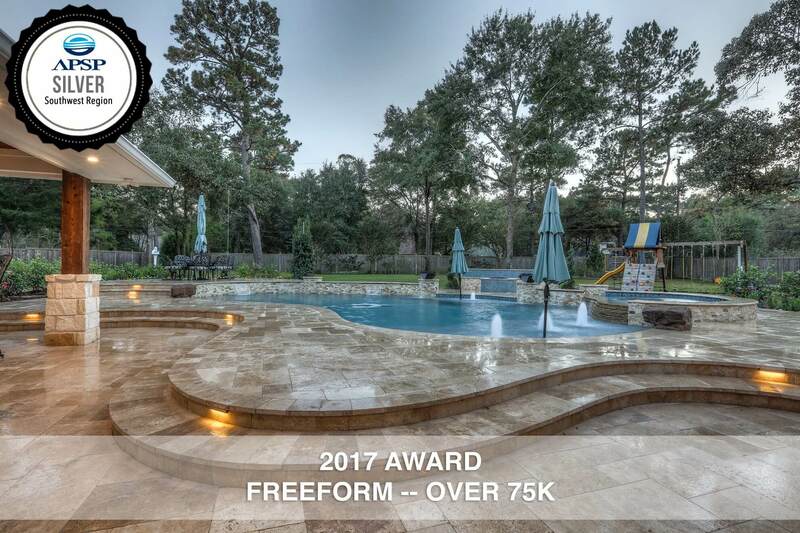 The program recognizes pool, spa and water feature designs that showcase the most beautiful and creative work in the industry.